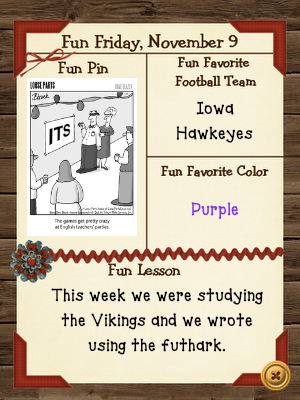 Linking up with Teaching Fourth for this week's Fun Friday. And linking up with Amanda for her Friday Flashback. 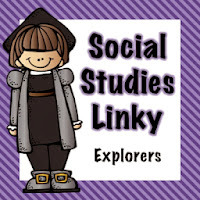 This week we focused on the Vikings in social studies. The highlight was writing with Viking runes. First we talked about the runes and how they compared to our letters. They said that some of them look like our letters and some stand for more than one letter. We also talked about why we thought that they were primarily composed of straight lines. Then I wrote them a message that they had to decode. Their assignment was to write a message about Vikings back to me. They thought that this was awesome and wanted to know if they could keep the sheets so they could write secret messages to each other. 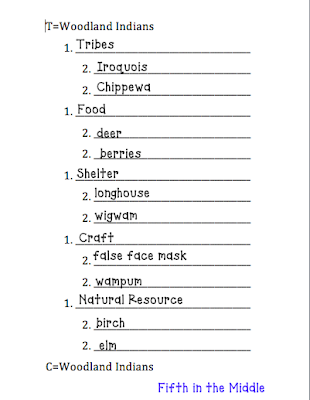 In literacy, we focused on writing number notes using the Write Tools program by Alice Greiner. I highly recommend this program for writing. Number notes is a pre-writing outlining strategy. 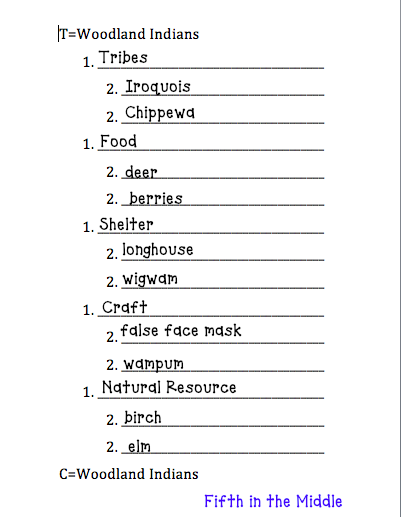 Here is an example that we did for Native Americans. From here, you write four different kinds of topic sentences - declarative statement, number sentence, question, and situation/stance. Pick one to be your topic sentence and one to be your concluding sentence. If anyone is interested, I can go into further detail in another post. So that's what's been going on this week. Thanks for stopping by! My favorite color is purple too. I love the idea of writing secret messages to the kids and having them decode it. Very cool! How much fun writing like Vikings! I'm sure your students enjoyed writing in secret code! I love that idea. Thank you so much for linking up! We are studying the Vikings right now also. I love your idea of writing using the Viking Runes, too fun!!! I'm going to remember this for next years lesson on Vikings, very clever! One of my favorite lessons from MY elementary school days involved writing in code. That is something they'll always remember! ;) Thanks for linking up again with your great ideas. ooo...I like the Number Notes! Thank you for sharing this! !